Ability Connection Colorado will always seek to maximize the potential of every individual. By honoring our past, we create new and promising opportunities for our future – a future filled with hope, participation and acceptance for people of all ages and all abilities.In 1946, nine mothers of children with cerebral palsy and other disabilities met in the waiting room at Children’s Hospital and found themselves faced with a significant challenge, the difficult decision of whether or not to place their children in institutions. At that time, both opportunities for public education and the chance to lead a productive and functional life was non-existent for children with disabilities. 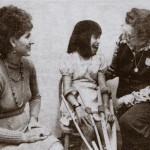 These brave and visionary moms forged ahead to create a legacy that forever changed the lives of their children, as well as, laying the foundation of change that affects thousands of Coloradans today, the founding of Cerebral Palsy of Colorado. Within a short time, there were over one hundred eighteen CP of Colorado members! This fledgling organization started as a school in a church offering education, socialization and therapies for all children with disabilities, all ages, no matter their disability. The operation was run entirely by teachers, volunteers and family members. Somehow, through the generous financial support and in-kind services from families, individuals and local companies, the doors of the CP of Colorado school stayed open. 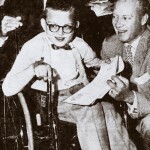 In 1949, CP of Colorado and the clients it served receive great news; the Colorado legislature allocates $50,000 for educating children with disabilities. While it is limited to one segregated classroom, matched with the efforts of CP’s school, it represents a significant win for the disabilities community. Through the incredible efforts of Gerald Phipps (a well-known Denver developer), the Denver construction industry and twenty-two labor unions, the “gleaming castle of hope”, was built, a real school for children and youth with disabilities. This unique CP school opens its doors in 1953, at 2727 Columbine Street in Denver. Fifty-three children were enrolled initially, and the first School Board was appointed to oversee the school’s operation, while a Medical Panel was setup to determine eligibility. That same year, the First CP Telethon, hosted by KBTV Channel 9, raises $160,000 for CP programs. Hundreds of volunteers answer the telephones while local celebrities host the show. It is 1954, when CP becomes a member of United Way of Denver and the National Cerebral Palsy organization. 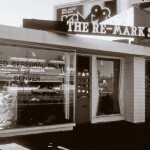 That same year, CP opens a gift shop operated by family members and volunteers, named Re-Mark. It provides an opportunity for disabled adults to engage in business. In 1957, Denver Firefighters initiate a fundraising effort, collecting hundreds of dollars for CP by placing 5,000 canisters in local Denver businesses. These donations fund the vital services that CP offered to Denver’s disability community. In 1959, an addition is added to CP to accommodate a life skills program and Sheltered Workshop for 40 adults with disabilities. A year later, a partnership, resulting in assembling and packaging contracts for CP’s Sheltered Workshop, is formed with local community businesses. Companies like Wright and McGi11 help 12 adults feel productive, while they experience the joy of earning a paycheck. 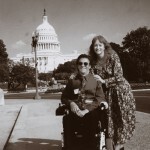 In 1964, after many years of tireless advocacy, adults with disabilities become eligible for Social Security benefits. This legislation significantly changed the landscape of opportunities for the future of individuals with disabilities and their families. CP’s Sheltered Workshop was the first one to become certified in the country. The Colorado Legislature passes a bill allocating funding for programs that will serve people with disabilities through a Community Center Board system. This allowed the state to receive matching federal dollars, while assuring that at least a portion of children and adults in the state would receive critical and necessary services. In the late sixties, the Junior League of Denver donates $5,000 to CP to establish a Special Education Library, while the Friends of CP, a group of volunteers, join together to support the CP school and workshop programs. Along with local foundations, these “friends” engaged community leaders and hosted tours to introduce the work of the organization to others. Homemade “Soup and Pie Luncheons” were held, as were many, innovative Special Events. The year is 1975 and Congress passes the Education for All Handicapped Children Act, later renamed IDEA. At the time, more than one million children in the US had no access to the public school system. This civil rights law mandated that children with disabilities finally receive a free public education. Eventually, CP ceases providing K-12 school services and focuses on supporting the children and their families that are finally entitled to enroll in public schools. CP continues to provide an early education Birth to Five program. 1984 brought the First Annual Wine in the Pines, a wine and food tasting event inspired by Kelly Smith, the daughter of founders, Mike and Margaret Smith. Held at Keystone, Colorado, this extravaganza with 150 people in attendance raises $4,000. The First Annual Concours d’ Elegance, held at University Hills Mall, features over 100 exquisite and exotic cars and raises $1,800 for CP’s children services. In the late 80s, a movement toward moving folks, who had lived in institutions all of their lives, into community living began. CP received a HUD grant, so twenty-four adults could leave Ridge State Institution and move into three group homes operated by CP. For the first time, these individuals experience life in a non-institutional setting, while enjoying a real home environment. Around the same time, a new CP employment services program, Supported Employment, begins. The focus was to place individuals with disabilities in community-based jobs. Young adults finishing high school have the opportunity to realize their employment dreams, while earning a earning a living wage. Over 40 people with disabilities become actively employed in integrated employment, proving the value of the skills and talents each individual can offer to an employer. 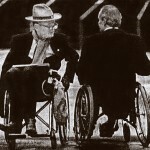 In 1992, the civil rights law, the “American with Disabilities Act” (ADA), is signed. This significant legislation establishes a clear and comprehensive prohibition of discrimination on the basis of disability. People with disabilities are promised full access to their communities. CP also began to enroll children of all abilities in our Early Education Program. We began to operate Full day, year round services in an inclusive, integrated setting for forty-five children and pave the way for children to discover and accept each others differences, as well as, have the chance to learn from each other. 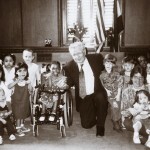 It’s 1994 and CP of Colorado officially becomes a statewide organization, initially offering information and referral services to individuals with disabilities and their families. The CP of Colorado Board announces the intent to implement a policy of full integration and inclusion. The most dramatic change will be the transition of 70 adult clients from a Sheltered Workshop setting to community based jobs and lifestyles. It is anticipated that this transition will take thirty-six months to assure that our clients will have the appropriate support to access the world around them. This intent follows National Policy that states “the continuing existence of discrimination, attitudinal barriers and prejudice has been shown to be directly related to the segregation and exclusion of individuals with disabilities”. Also in 1994, the First Annual “Great Balls of Fire” Billiards tournament is held in honor of Kyle E. Fisher, a loyal supporter’s child with CP. Sponsored by Colorado Firefighters, the event takes place at Wynkoop Brewery, raising $4,000. Proceeds provide therapeutic and early education scholarships for hundreds of children in the expanded Early Education Program at CP. In the mid-90’s, CP begins operating a Donation Pick up Service, generating $93,000 the first year. This business becomes sustaining revenue for CP programs. At that same time, CP of Colorado continues to fulfill its legacy while moving from its home of 44 years to a new home, and offers an Early Education Program to one hundred-fifty children of all abilities. Karen Sass, daughter of Gerald Phipps, sums it up, “It is truly wonderful that my father’s appreciation for education will continue, as the facility once designed to educate children with cerebral palsy will now open its doors to educate children of all abilities”. CP also helps sixty-five adults transition to community-based settings, thus demonstrating people with disabilities can be employed in the community, live independently with support and become active in community life. In 1997, Parent to Parent, a parent-driven organization, joins CP of Colorado and offers information, parent matching and internet support for parents of children with disabilities, while bringing to the forefront the legacy of parent determination and leadership. Family Voices, also a parent-run organization, joins CP of Colorado and is dedicated to improving the health of children with special health care needs. Parents begin to aggressively advocate for systemic changes that will reduce healthcare waiting lists for hundreds of children with disabilities. CP establishes Faith in Action, a service that connects children and adults with disabilities to a “Circle of Friends” with volunteers from local faith communities. Also in 1997, CP of Colorado is awarded the Aurora Head Start grant to serve at-risk children and families, thus expanding early education services to three hundred forty-five birth to 5 year olds, while providing comprehensive education, health, developmental and family services for a total of over six hundred children and families. In 1999, CP of Colorado is granted additional Aurora Head Start and Early Head Start funding to serve four hundred seventy-four infants, toddlers and preschoolers at five centers and provides more children and their families early intervention and prevention services. 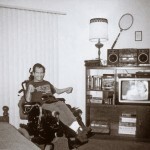 It’s 2001 and Employment Works, CP of Colorado’s renamed employment program, is awarded a federal Social Security Benefit Planning Grant to help people with disabilities take charge of their own benefits, while taking charge of their own lives. In the first year, nearly five hundred people were provided the necessary tools to understand their benefits. EMPOWER Colorado joins CP of Colorado’s growing family of statewide family organizations in 2002. This service provides education, shared parent wisdom, encouragement and resources for support groups for families coping with children and youth with brain disorders and mental health issues. 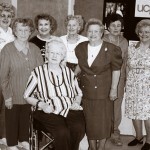 Also in 2002, CP holds the First Annual Mother’s Tea, a luncheon honoring and celebrating our founding Mothers and today’s women, the primary caregivers for their families. 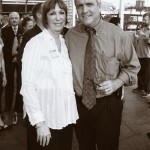 Over $25,000 was raised for support organizations with three hundred-fifty people in attendance. In 2003, the Infantile Scoliosis Outreach Program (ISOP) joins CP of Colorado’s family of statewide organizations. ISOP partners with medical professionals to educate physicians, other health professionals and parents about effective, non-invasive, life changing and lifesaving treatments for infants and young children with Infantile Scoliosis. 2006 brings the First Annual Sporting Clay Event into the special event line up, hosting two hundred thirty-two shooters and raised over $110,000 for CP children’s programs and ISOP. In 2007, Colorado Citizens for Accountability, a patient safety organization advocating for transparency in patient care and justice, joins CP of Colorado’s family of Statewide Services. CCA, renamed Citizens for Patient Safety, makes the CASE for safe healthcare by helping Consumers learn how to Advocate, Support and Educate themselves. 2007 also sees the completion of a new building campaign, and CP of Colorado opens the Lowry Campus, while realizing and fulfilling the dream of the 9 founding Mothers “that children with disabilities and their families would be educated, supported and encouraged to fully experience their human potential.” It is our hope and dream today that we will continue to fulfill their legacy through a fully integrated learning environment with wraparound services to support and encourage school readiness and the success of every child. With the completion of our new building, The Kyle E. Fisher Early Education Center opened, serving one hundred fifty children, pre-birth to five years of age. Vanguard Classical School, founded through the efforts of CP of Colorado, also opened its doors. This charter school serves over 500 students and provides K-8 education with two teachers in each classroom and a comprehensive team of specialists, who facilitate optimal, individual academic achievement and character development through a rigorous, content-rich, inclusive learning environment. The opening of the new campus includes the opening of the Kelly Smith Employment Center, offering services to over four thousand youth and adults seeking employment, skills development and the dignity that comes with earning a paycheck throughout the state. Also housed in the new building are Statewide Support Services, a group of six parent-driven organizations providing education, family leadership development, support, parent mentoring and advocacy for 35,113 Coloradans and their families affected by disability. The CP of Colorado campus serves as a testament to the courage 9 devoted mothers had in 1946. Their vision of a more promising future for individuals, children and families is a legacy that will be shared among many…..today and for future generations to come. September 1, 2013: CP of Colorado officially changes its name to Ability Connection Colorado.